Six Senses Laamu features an organic garden where 40 different herbs, vegetables, salad leaves and micro-herbs are grown. Chef Martin and his culinary team have teamed up with the gardeners to create a daily-changing menu, entirely based on fresh and organic ingredients, served by the pool at Sip Sip. The menu features a different starter, salad, pizza and dessert every day for guests to choose from. “The idea is to offer guests an additional healthy set of light dish options to enjoy by the pool with locally sourced ingredients. Everything is prepared simply with no addition of processed or modified foods,” says Martin, executive chef. Chef Martin shares one of his favorite, so far, Farm to Pool recipes for Six Senses Laamu Garden Salad. Wash and picked lettuce, spinach and micro herbs. Make the dressing by mixing lemon juice, salt and pepper, slowly pour the olive oil. 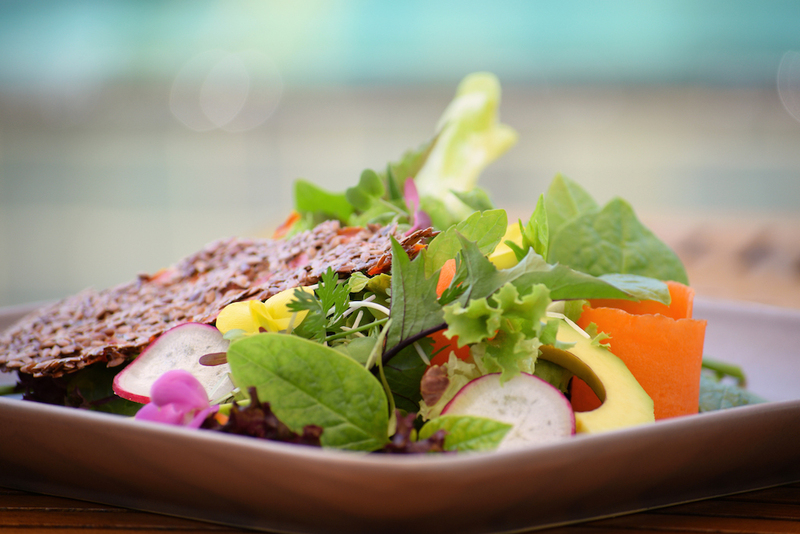 Dress the lettuce and avocado, arrange in the bowl, garnish with micro herbs and flaxseed cracker. Pour the water over the flaxseed, mix and stir thoroughly. Leave to sit for 10 to 15 minutes, stir regularly until the mix becomes thickened. Spread the mix thinly over one dehydrator tray and score lightly with a spatula. Dry for 12 to 36 hours. 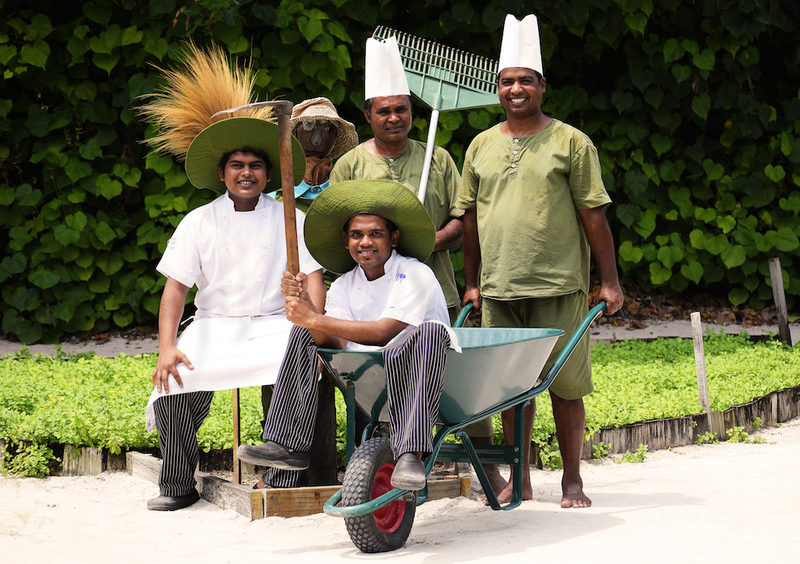 From all the Farmers and Chefs at Six Senses Laamu: Meerukon’ Kaalacchey (Bon Appétit). Most of the villas and facilities are built overwater, however, beach villas and on-land dining is an option. All villas offer a sense of privacy and seclusion, with an amazing view of the Ocean and Maldivian nature. Six Senses Laamu offers a wide range of dining options, with cuisines from around the world, a swimming pool with a sunken bar, an ice cream parlor, an overwater wine cellar and a signature Chill bar. Six Senses Hotels Resorts Spas operates 11 resorts and 29 spas in 20 countries under the brand names Six Senses, Evason and Six Senses Spas. Aggressive development plans will triple the portfolio over the next five years with the resort, hotel and spa openings underway in Austria, Bhutan, Cambodia, China, Egypt, Fiji, France, India, Indonesia, Italy, Nicaragua, Switzerland, Taiwan, Thailand, Tunisia, United Arab Emirates and the United States.